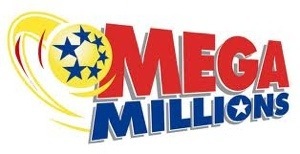 I keep seeing a billboard on my way to work that advertises the Mega Millions jackpot, so I started daydreaming of ways to better my chances of winning. Buying every ticket was one of those ideas. The simple answer is that if you bought every combination, you’d win. And I thought this was a great idea until I found out just how astronomical the number of combinations is. There are 175,711,536 of them. This means it would cost $175,711,536.00 to buy every ticket… and because of taxes (usually 36%), the cash payout would have to be 275M 255.1M (see update below) to turn a profit. On top of that, there is the impossibility of buying all those tickets. Even if you had 500 friends and family helping you, they’d each need to fill out 351 thousand cards, and they’d only have three days to do it. Needless to say, if you find yourself with hundreds of millions of dollars, you probably shouldn’t get your investment ideas from me. But if you’re foolish enough to try this, I’ll gladly be one of your 500 friends.